123 Free Solitaire 2008 features a winning layout, fast game play, rich sounds, extensive options, and quality help. Each game has more than nine trillion (9,999,999,999,999) possible shuffles to play, so the game remains fresh no matter how many times you play. Under Windows XP, 123 Free Solitaire 2008 is fully skinnable with XP Themes and visual styles. 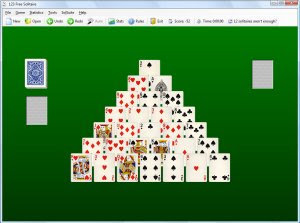 Play 123 Free Solitaire 2008 now and bring the excitement of card solitaire gaming right to your personal computer!